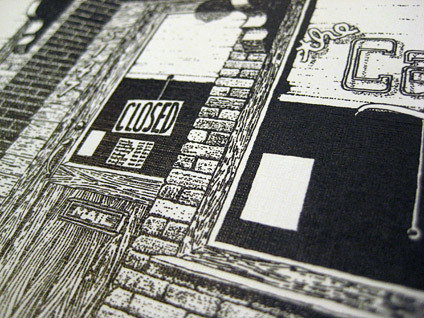 Detail from Calf Cafe – Tin Can Valley Printing Co. Detail from offset print of original pen and ink drawing. Wood grain and bricks. I never got around to filling in the two blank spaces. Future flyers.